India, especially Tamil Nadu and Adani Group are now on a global solar energy map with the commissioning and inauguration of the world’s single largest solar power plant of 648 MW at Ramanathapuram district of Tamil Nadu state. 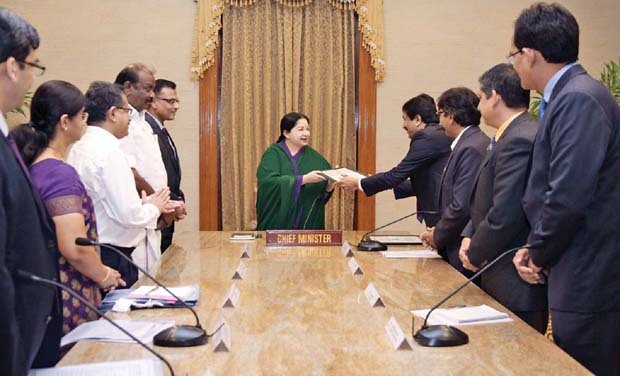 A 648 MW solar power plant costing Rs 4,550 crore spread across 5,000 acres of land was dedicated to the nation by Tamil Nadu Chief Minister J Jayalalithaa from Fort Saint George (Tamil Nadu Government’s seat of power) in Chennai through video conferencing on Thursday. 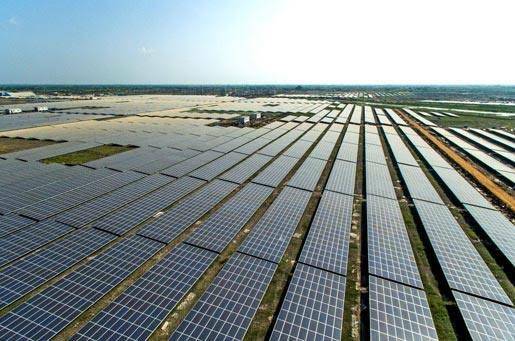 Tamil Nadu has vast stretches of uncultivable lands in the southern districts of Tirunelveli, Ramanathapuram, Sivaganga and Virudhunagar which are ideal spots to set up solar power plants, according to Surendra Pimparkhedkar, lead scientist, World Institute of Solar Energy. The plant was built by the Adani Group at a record time of eight months amidst efforts by some political parties to derail the work. Adani Group, a multinational company specialising in infrastructure development which is also the single largest private thermal power producer in the country had launched Adani Green Energy (Tamil Nadu) Ltd to set up the world’s single largest solar power plant. The massive plant comprises of 3,80,000 foundations, 25,00,000 solar modules, 27,000 tonne structures, 576 inverters, 154 transformers and cables measuring more than 6,000 km, said the release by the Adani Group. To complete the solar plant, around 8,500 persons worked round-the clock for averaging out about 11 MW of installation in a day to set up the plant, says Adani Group release. “A plant of this magnitude reinstates the country’s ambition of becoming one of the leading green energy producers in the world,” said Gautam Adani, the chairman of Adani Group.